Basel 2014 is off to a great start with the unveiling of the Rolex Sea-Dweller 4000. This stunning new timepiece features a 40mm case, a black ceramic bezel and a helium escape valve. Unlike previous models such as the Submariner, this watch is rated to be resistant to water and pressure down to 4000 feet or 1220 meters. 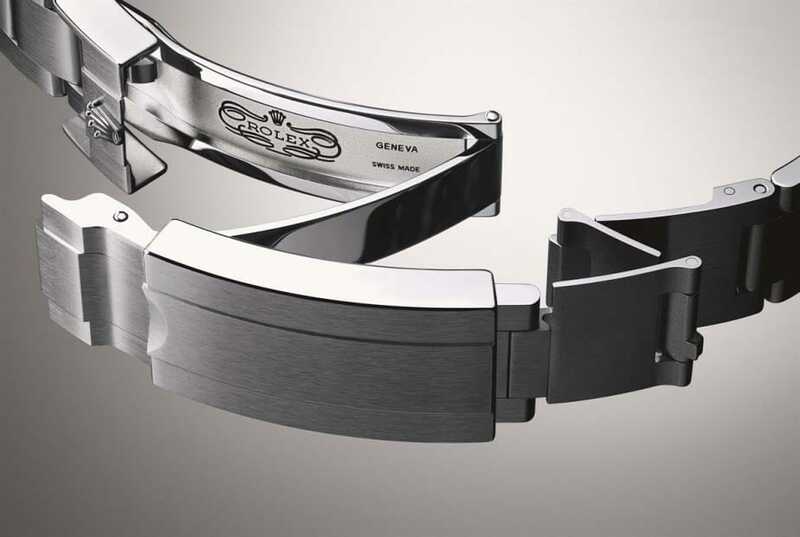 This watch also features a new bracelet with the Rolex Glidelock & Fliplock clasp features. With the Rolex Caliber 3135, this reinvention of the Sea Dweller is a fascinating watch. 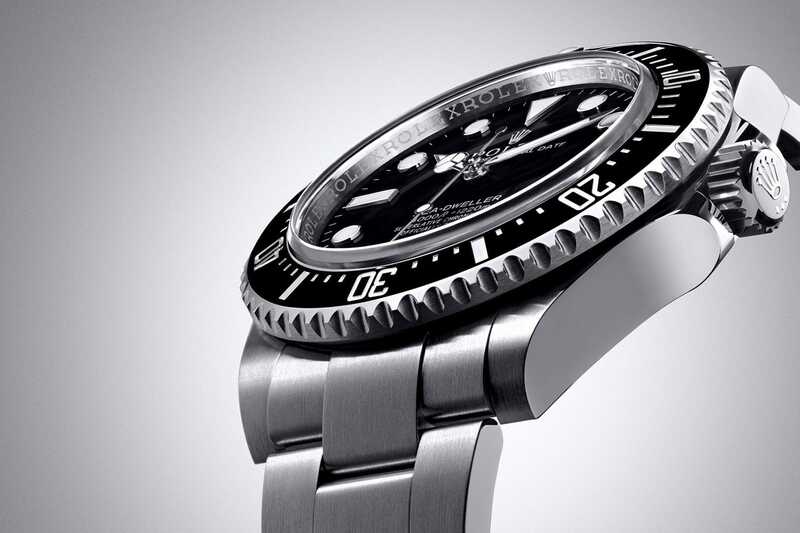 Following in the tradition of the great Submariner, the Sea Dweller was first issued in 1967. It was discontinued in 2008 in favor of updated models, but the resurgence of interest in this watch as a result of this new model may change that. The Sea Dweller has a rich history of standing up to the demanding environment of deep-sea diving. The COMEX or Compagnie Maritime d’Expertises carried the Rolex Oyster Perpetual Sea Dweller on the Hydra VIII mission. Marine engineers the world over turned to this model for reliable timekeeping for many years. Rolex has incorporated technology to allow watches to reach a new depth. Very similar to the Submariner at first glance, the Sea Dweller sports a beautiful black face with easy-to-read numerals and hands. The Rolex crown sits atop the words Rolex Perpetual Oyster with Sea Dweller/4000 feet/1220 meters below the hands’ pivot point. The unidirectional bezel is hash marked at every minute rather than just the first fifteen, and is surmounted by a diamond at the 12 o’clock point. A small date window replaces the older “bubble” model and is easily visible with contrasting black print on a white background. The wide winding crown is covered by two crown protectors and the beautiful stainless steel strap is made of wide, sturdy links for a heavy and dependable look and feel. The watch features a helium escape valve that keeps water from reaching the interior and gives the watch its amazing dependability against submarine pressures. In fact, the Rolex-patented helium valve makes the difference in allowing the Sea Dweller to reach such huge depths as 4000 feet, or three-quarters of a mile below the surface. Having been the premiere watch associated with the conquest of the deep, the Sea Dweller’s new reincarnation promises exciting times ahead for marine lovers. 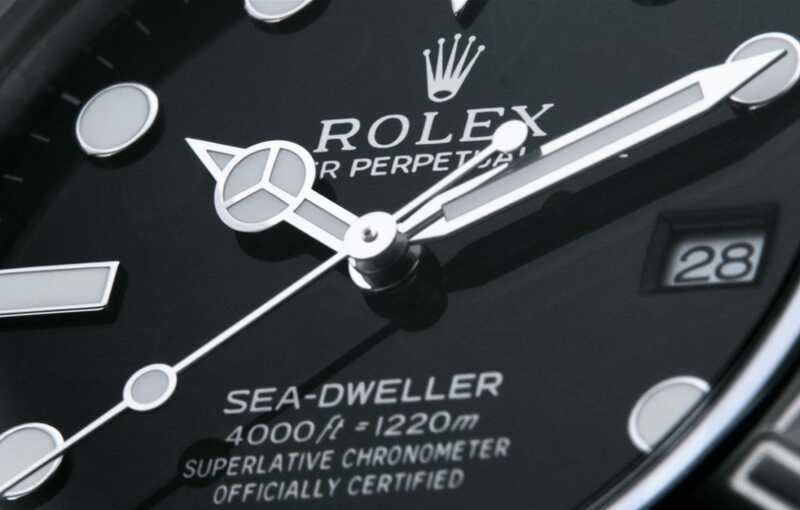 Perhaps the new Sea Dweller is the beginning of a new era of super water-proof Rolex watches.